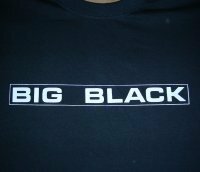 BLACK shirt with WHITE print on front. Available in ALL sizes - please specify the size you want when ordering! 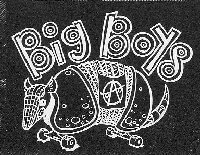 BIG BOYS skating armadillo as small pocketprint on chest (front), and big size print on the back! 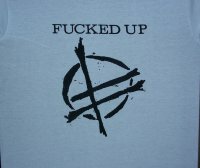 White printings on BLACK or NAVY-BLUE shirts! Please specify which color when ordering... 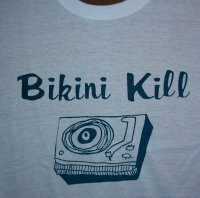 Available in ALL sizes! 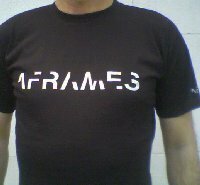 Black t-shirt with two-color print. 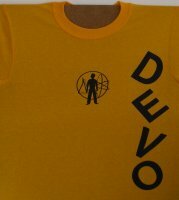 Available in sizes S, M, and L.
Please specify which SIZE you want when ordering. BLUE print - Shirts available in ALL sizes and various colors: Gold-Yellow, Grey, Orange, Mandarine, Red, Light-Pink (Azalea), Lime- or Irish-Green. Please specify which SIZE and COLOR of shirt you want, when ordering! BLAUER Druck, erhältlich in ALLEN Grössen auf diversen Shirt-Farben: Gelb, Grau, Orange, Mandarin, Rot, Hell-Rosa (Azalee), Hell- oder Dunkel-Grün. Bei Bestellung bitte GRÖSSE und die gewünschte SHIRTFARBE angeben! 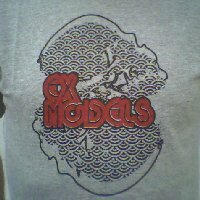 GREY or WHITE t-shirt (or any other bright color you may want) with 2-color print: Design printed in black, Ex Models in red! 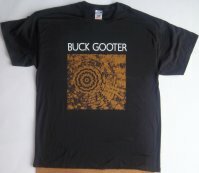 Available in ALL sizes (from S to XL) - Please specify SIZE & COLOR of the shirt when ordering! 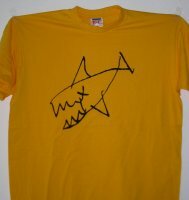 YELLOW shirt with "fish" logo printed on frontside. Please specify size you want when ordering! YELLOW shirt with prints on BOTH sides! 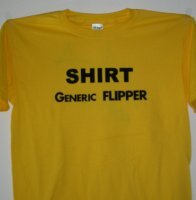 "SHIRT GENERIC FLIPPER" on frontside/chest – Backside with "fish" logo, same as on the other shirt! Please specify size you want when ordering. Shirts in WHITE or BLACK, with black resp. white print. Available in all sizes - Please specify size and color you want, when ordering! Click on picture to ENLARGE!